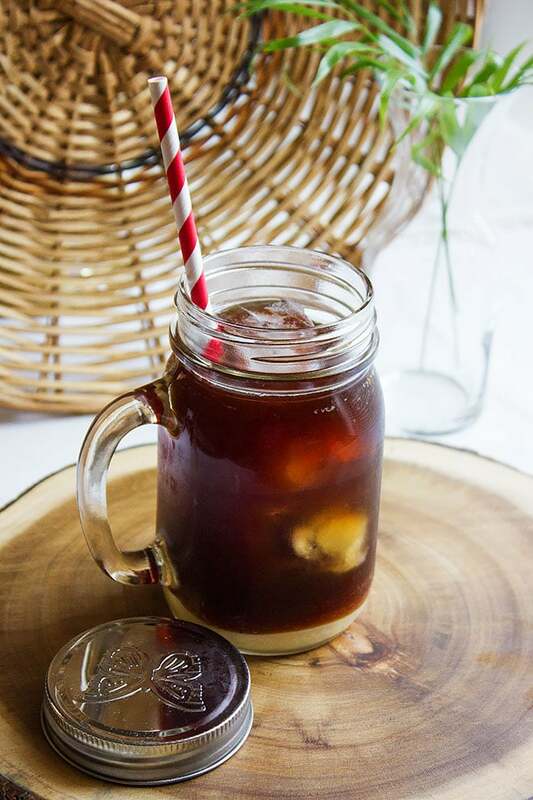 Summer is not yet in but it is hot and Vietnamese Cold Brewed Iced Coffee will for sure make you feel refreshed and ready to go on with your daily chores. 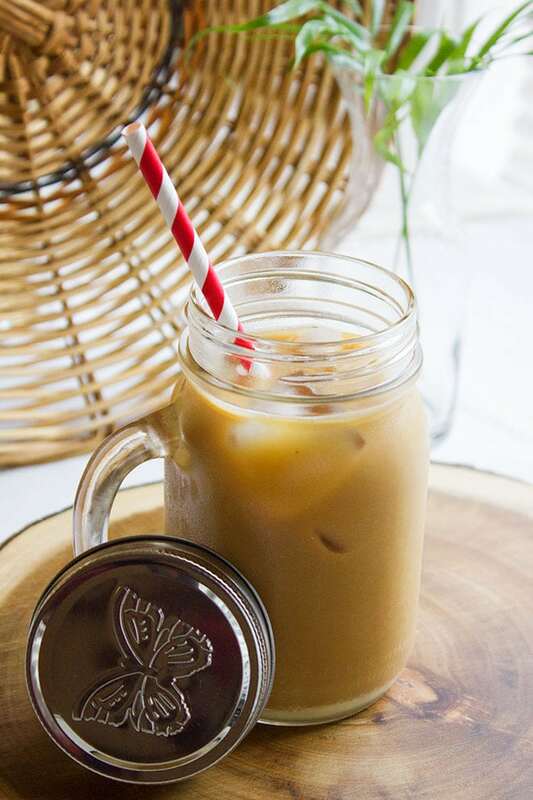 Usually, Vietnamese Iced Coffee is made using hot brewed coffee, but since I’ve started cold brewing my coffee I am more in love now with iced coffee than before. There are many benefits of brewing your coffee cold and although it takes a long time, it’s worth it. 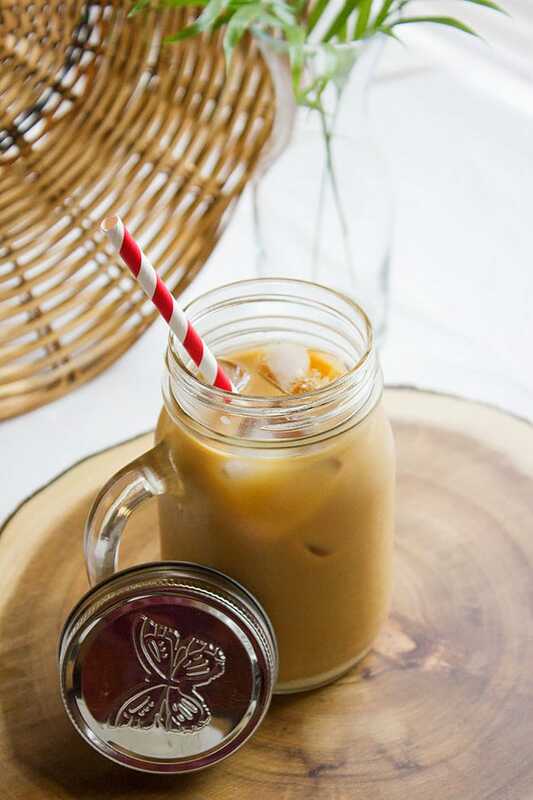 Vietnamese Cold Brewed Iced Coffee tastes amazing and since it is cold brewed there are almost no acidity in it which means it is gentle on your stomach. Not only that, but cold brewed coffee is delicious and sweeter in taste. You can try any type of coffee to cold brew. When it comes to coffee it totally depends on your taste. Some like it strong others like it light. I suggest that you try my recipe as is the first time and then adjust it to your liking. Do not use instant coffee for this recipe it just won’t work. Making Vietnamese Cold Brewed Iced Coffee. 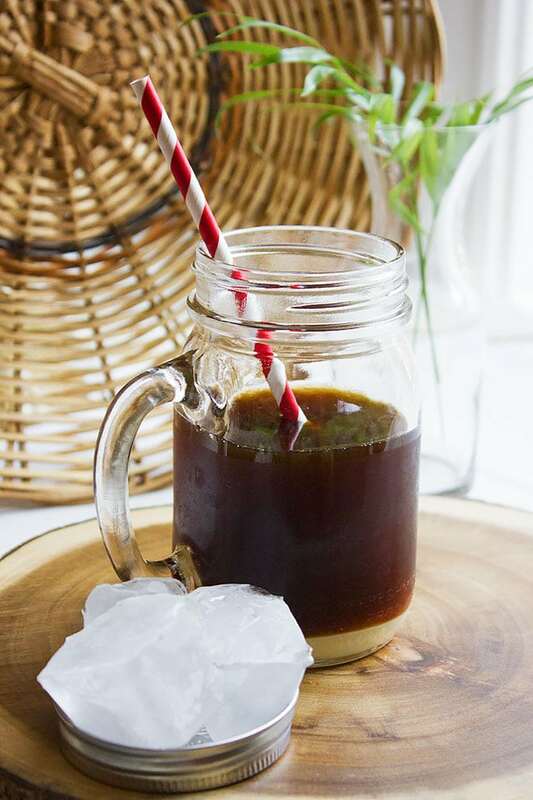 Making Vietnamese Cold Brewed Iced Coffee is so simple and rewarding but you need to be patient and wait for a long time. You can cold brew the coffee from 13 to 16 hours and that’s the only difficult part of this whole process, the wait! 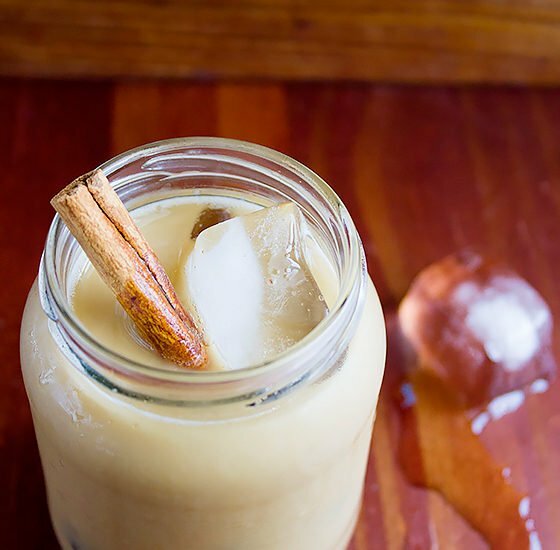 Let’s make us some Vietnamese Cold Brewed Iced Coffee! 1/2 cup coffee use any kind you love but dark roasted is preferred. Do not use instant coffee. In a jar or a glass bowl, mix the water with coffee. Cover and refrigerate overnight or for 13 hours. In a large cup, add the condensed milk. Place a coffee filter in a strainer and strain the cold brewed coffee. 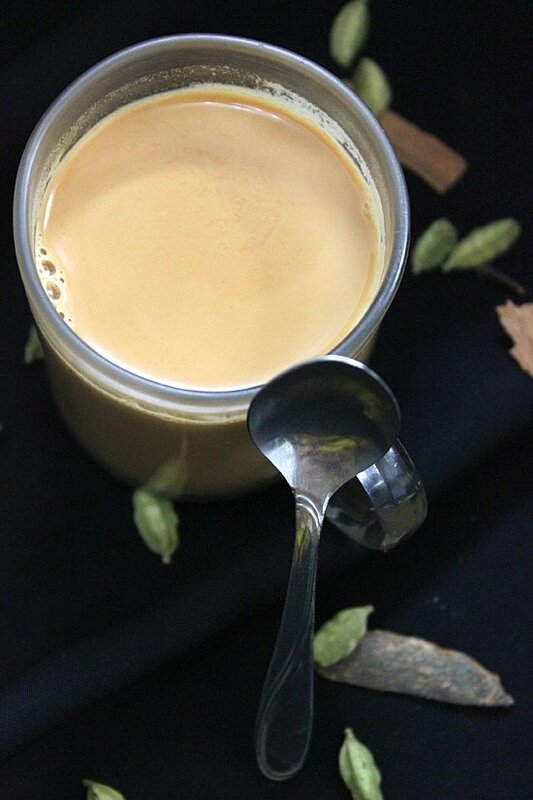 Pour the strained coffee over the condensed milk, add few ice cubes, mix well, and enjoy. I have really enjoyed the recipes from your blog. My question, What makes Vietnamese Coffee. Is it coffee from the country or is it the way it is flavored. 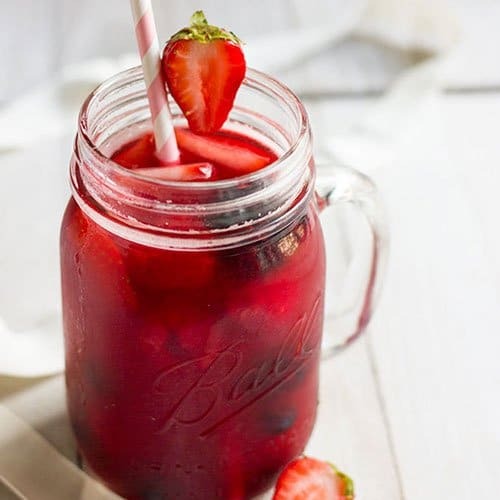 This does look refreshing. I wish I liked coffee! I know tons of people would love this though. I rarely meet people who are not fond of coffee, However, if you are making it for your family or friends, I’m sure they will love it. I love ice coffee. This sounds like an great recipe. I gave up coffee years ago but I can still remember how refreshing ice coffee was. I would make this for my friends. 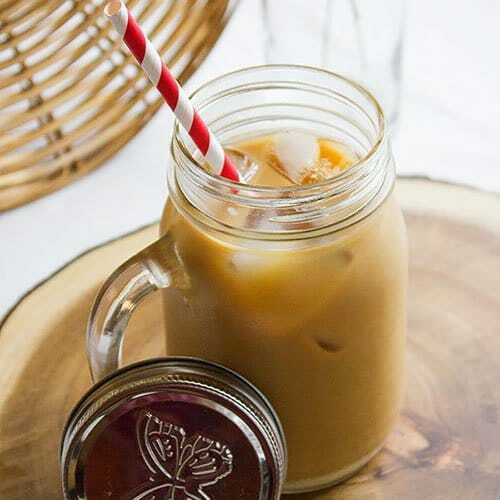 Vietnamese Cold Brewed Iced Coffee looks so delicious. Ices coffee is my go to drink in the hot summer weather. I will have to give this a try. I agree that the hardest part would definitely be to wait for the coffee to be ready. I like the sound of a cold brew! WoW! I never had Vietnamese coffee and I was in Vietnam last summer. Now I am bummed. This looks so yummy. I’ve been into iced coffee recently but never heard of this type. Also the wait must be so sweet once it is done since it seems like it takes a while. Oh yes, it has a hint of sweetness. I’ve heard a lot of good things about Vietnamese coffee but I have not tried it myself. This sounds amazing. I can definitely make my own at home! The best part is, it’s so much low in acidity and tastes sweet! I just made hot coffee. This post makes me wish I’d have gone cold brewed instead. I was not able to taste the local Vietnamese coffee, only their signature tea and I loved it! I guess this is the time to experience the cold brewed one. I never tasted Vietnamese tea and I think it is going to be my next project! Great recipe there you’ve shared! A must-try! I am not a huge fan of coffee, but the coffee I have tried and didn’t mind drinking was cold. I will have to try this one. Ihave never tried Vietnamese tea or coffee sounds good. Ooooo yummy!!!! I just love Iceed coffee! I will have to give this a try! I still can’t get into cold brewed coffee! I’ve tried! I’d try this though, always try something once! 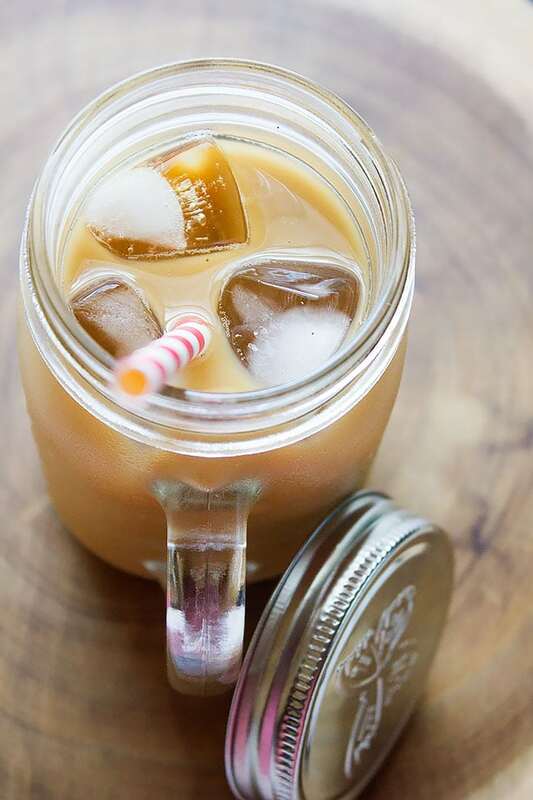 Ice coffee is perfect for summer! One of my go to refreshing drinks on a hot day.